Originally an 18th century sugar plantation, Ottley's Plantation Inn is located on 35 lush acres at the foothills of Mt. Liamuiga. With its rolling green lawns and spectacular ocean view, tropical gardens, nearby black sand beach and rainforest with cobbled paths, mango trees and green monkeys, the plantation has been renovated and restored in the English colonial style, with an ambiance that transports guests to a bygone era of gracious living, hospitality and elegance. 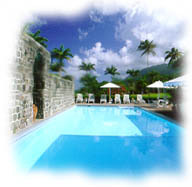 An AAA 4-Diamonds award winner, Ottley's Plantation Inn was also selected as "The Best Hotel in the Caribbean" in the Rum & Reggae, a guidebook published by Villard Books/Random House, and has received rave reviews from US magazines such as Conde Nast Traveler, Food & Wine, Travel & Leisure and in the UK by The London Times, Country Living and The Daily Telegraph for the fine cuisine available at its Royal Palm Restaurant. With 15 rooms overall, the plantation's Great House and cottages are decorated in floral chintzes with antiques and wicker. Accommodations include beautifully appointed, spacious rooms in the Great House, two queen rooms in the Stone Cottage and in the English Cottage, a two-room deluxe cottage suite decorated with antiques and florals. Evidence of sugar cane is everywhere on the comparatively flat, fertile coastal plain. You will drive through large fields of cane and glimpse the narrow gauge railway which is now used to transport it from the fields. Disused sugar mills are also often seen. Around the island are the Great Houses: Fairview, Romney Manor (destroyed by fire in 1995), Golden Lemon, the White House, Rawlins and perhaps most famous for its colonial splendour, Ottley's. They have nearly all been converted into hotels and have excellent restaurants. It is still very much a market town; with two cattle markets, agricultural suppliers, blacksmiths, paper manufacturers, printers, engineers, lens manufacturers, a busy shopping centre and popular open markets. There are events throughout the year, the Otley Show in May, the Carnival in June, the Folk festival in September and the Victorian Fayre in December to name but a few. The town centre is renowned for the number and quality of its pubs, and the surrounding countryside provides ample scope for walking, fishing, riding and other outdoor sports. 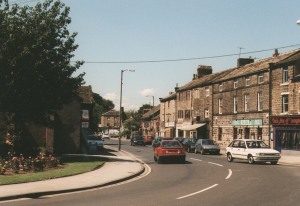 The areas of Beechcliffe and Utley together form two-thirds of the Parish of Utley. Utley is no longer an independent community having long since become absorbed into its big brother, Keighley. Even so Utley residents are justly proud of their bit of Yorkshire and the Beechcliffe and Utley Development Group exists to encourage local residents. Utley straddles the Doncaster-Kendal route to Skipton from Keighley. Thanks to a by-pass most traffic for Skipton and beyond now misses our area but even so the "main" road seems as busy as ever. 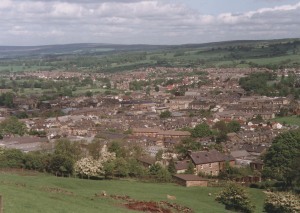 The north-east edge of Utley is the railway line from Leeds and Bradford which runs to Skipton, Carlisle and Morecambe. Electrified in 1995, the rumour is that we will see fewer steam hauled trains heading for the Settle-Carlisle line as a result.